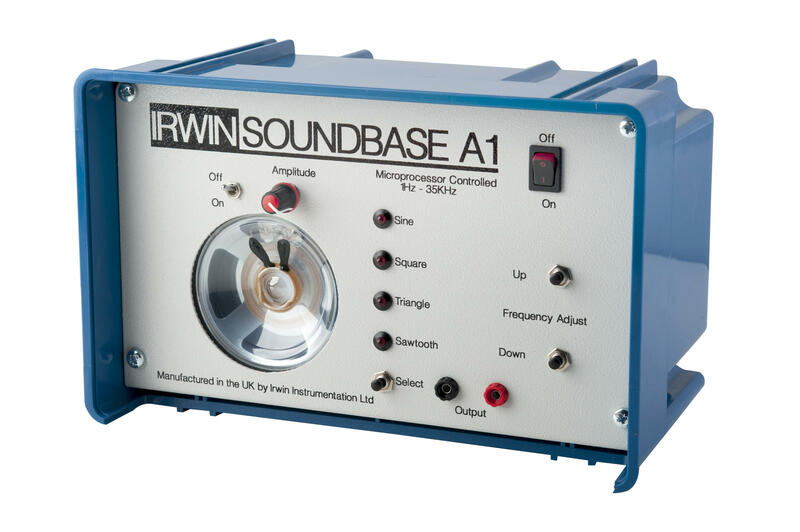 The Irwin microprocessor controlled Signal Generator offers frequencies from 1Hz to 35Khz. Sine, triangle, square and sawtooth waveforms are available. Complete with a built-in loudspeaker. Supplied complete with a plug top power supply. A Signal Generator with output frequency from 1Hz to 35KHz. Digital circuitry for accurate waveform shape. Selectable outputs of Sine, Square, Triangle and Sawtooth. Function output for oscilloscope display.